It's Sneak Peek Tuesday again! 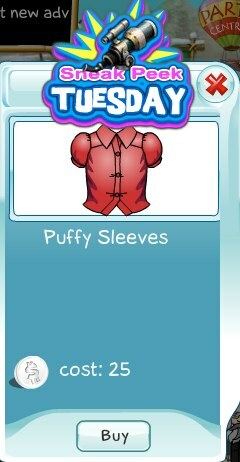 This week we are giving you a chance to get the Puffy Sleeves shirt. If you're a fan of of fluffy, puffy shirts, then this is for you! Get it only today before the sneak peek ends.